This handsome edifice and its organ were the gift of John Dunn, a flour miller who settled in the area in the early 1840s and stands as his memorial. 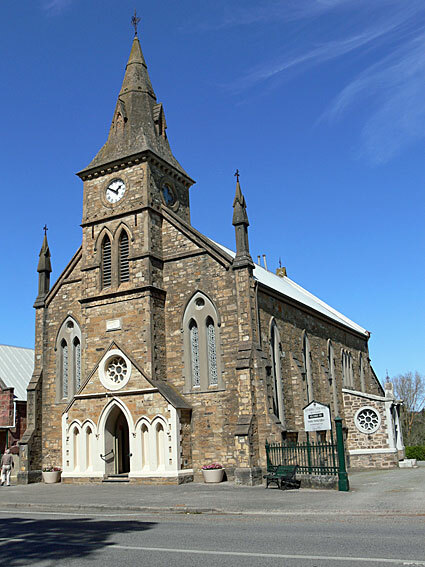 Of particular note architecturally is the clock tower and spire above the entrance to the church and the Early-English influence shown in the lancet windows. 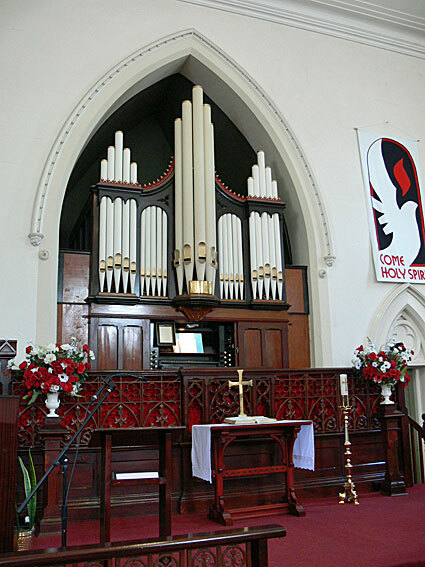 The church and its organ were opened on 19 September 1884 at a total cost of about £4000. Victorian organ builder George Fincham set up his Adelaide branch in 1881. Under Arthur Hobday, apprentice made junior partner, and Josiah Dodd, the firm of Fincham & Hobday built perhaps 10 new organs and rebuilt many others before Dodd purchased the business in 1894. 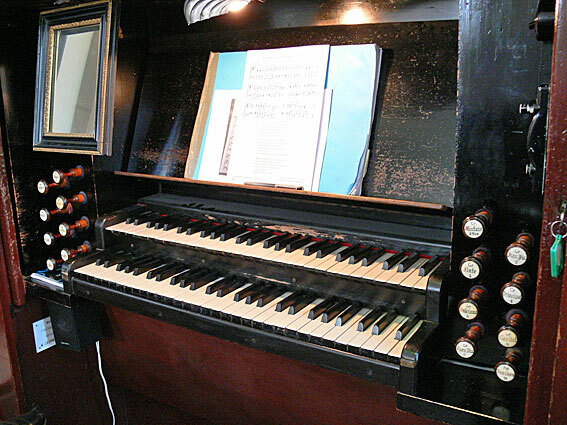 The Mount Barker organ and its twin at the Uniting Church Port Adelaide were built in 1884. Both instruments are notable and possess features markedly different from those of the parent firm. Tonally the Great manual has a 2 ft Harmonic Piccolo rather than a Fifteenth, and a two rank Mixture rather than one of three ranks. Neither of these ranks appeared in the Melbourne instruments. Also notable is the case which has three towers, the central five pipes have no supporting band.